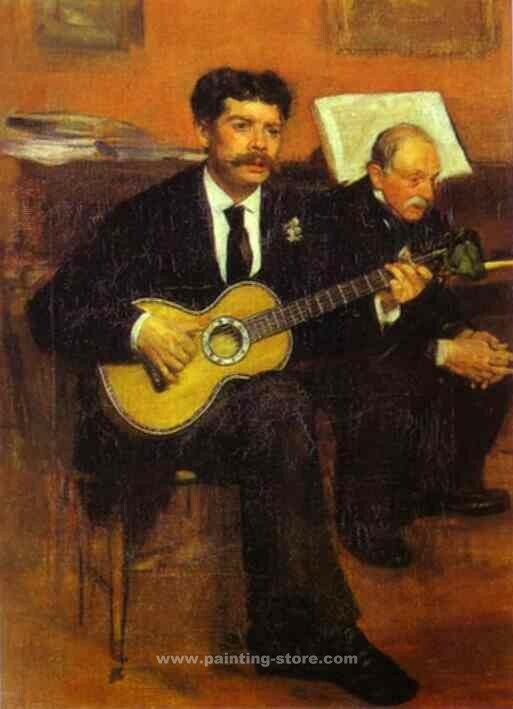 Lorenzo Pagans and Auguste de Gas, the Artist's Father degas75 - AMAZON OIL PAINTING CO.,LTD. Lorenzo Pagans and Auguste de Gas, the Artist's Father. c.1871-72. Oil on canvas. Mus¨¦e d'Orsay, Paris, France.